A hot potato: Nvidia's new ray tracing-focused "RTX" GPUs are finally here, and the company has wasted no time in showing off the power of its new hardware. RTX-oriented trailers for Metro Exodus, Battlefield V, and Shadow of the Tomb Raider have hit the web, and they're filled to the brim with some of the most realistic reflections, explosions, and lighting we've seen to date. Nvidia's pre-Gamescom event kicked off today, and it came with a few exciting announcements. Despite company CEO Jen-Hsun Huang's previous claims that new GPUs wouldn't be arriving for a "long time," the event revealed three new consumer-grade GPUs, all of which focus on Nvidia's new "RTX" real-time ray tracing technology. RTX is a piece of technology that aims to simulate real-world lighting in video games more accurately. 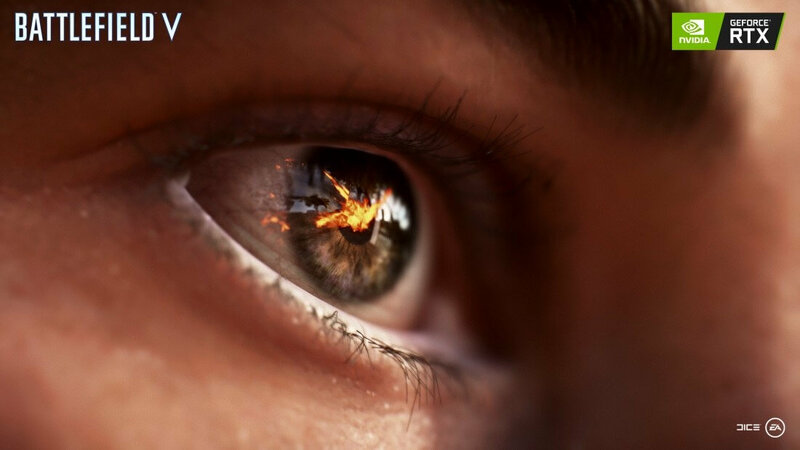 With RTX, explosions, fire, and other objects in a scene are reflected off of materials like wood, glass, or metal in a much more realistic manner. Nvidia partnered up with the developers behind Battlefield V (DICE), Metro Exodus (4A Games), and Shadow of the Tomb Raider (Eidos-Montreal/Crystal Dynamics) to unveil three intense trailers, all of which were designed to showcase the power of RTX. Battlefield 5's latest trailer is perhaps the best example of Nvidia's tech in action. Explosions from tank shells and streams of fire from flamethrowers accurately reflect off of puddles on the street, shop windows, car doors, and even the eye of a soldier. Shadow of the Tomb Raider's trailer gives us a brief glimpse of ray tracing in a slightly less chaotic environment. At the start of the trailer, protagonist Lara Croft wanders through what appears to be a night market, with soft shadows illuminating her surroundings as overhead lights swing to and fro. Metro Exodus really puts Nvidia's technology to the test. Moonlight reflects off of ground puddles as it filters through a dense treeline, and the light emitting from a small firepit scatters across a thick layer of fog. All of these effects combine to create what seems to be a very atmospheric -- and creepy -- experience. It isn't just the developers behind these three games that plan to adopt Nvidia's RTX technology, though. In an announcement published today, Nvidia said 11 of the world's "leading" game development studios already plan to utilize RTX in their upcoming games. Whether or not those plans come to fruition remains to be seen, but for the time being, the future of PC gaming is certainly looking bright.